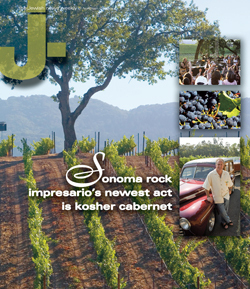 Sonoma rock impresarios newest act is kosher cabernet – J.
Bruce Cohn was just a child when he learned how to milk goats on the family farm in Sonoma County. He would eventually find his way back to farming — sort of — by starting the B.R. Cohn Winery, but not before making a big mark on the music world as the manager of the rock group the Doobie Brothers. Now, after more than 30 years in the wine business, Cohn is proud of his newest venture: the vineyard’s first kosher cabernet. Wine is only one of Cohn’s passions — he’s also a huge music fan, which plays out in his other job as manager of the Doobie Brothers. He’s been managing the rock ’n’ roll act for 40 years. But like the wine business, music management was not a deliberate career path. Both, it would seem, fell into his lap. The son of two musicians — his mother sang backup for Frank Sinatra and his father performed Italian arias — Cohn was born in Chicago in 1946 and moved in 1957 to a farm in the tiny California town of Forestville. There his family made goat cheese and milk for health food stores, a pioneering business concept at the time. Cohn rose at 4:30 a.m. each day to begin milking 115 goats by hand. “My folks were outside the traditional box,” he said. After graduating with a degree in communications from the College of San Mateo, Cohn was employed at San Francisco’s Channel 20 KOFY-TV (then KEMO) when he took a day off to visit his brother, who was a recording engineer at a studio in San Mateo. There, Cohn had a fortuitous meeting with a new local band that called itself the Doobie Brothers. The band members asked for help scoring a record contract, so Cohn’s brother prepared and mailed an audition tape to Warner Bros. Records. By the time the band got signed, Cohn had befriended all the musicians. They asked him to join them on tour. He quit his job at the station and has been touring with the band on and off ever since. When the band first took off, Cohn knew nothing about winemaking and had no plans to make a career of it. 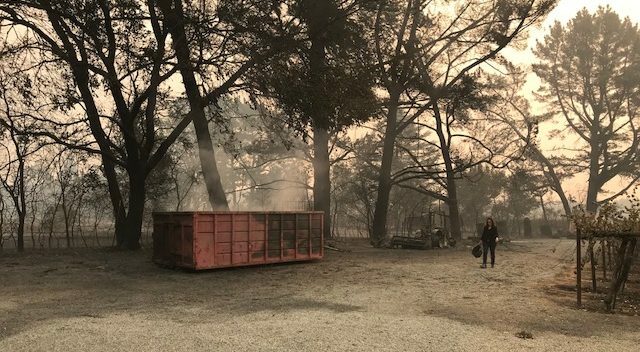 But he was living on 40 acres (now 90 acres) of Sonoma County land he had purchased for his growing family — he and his wife of 30 years, since divorced, raised four children, now ages 25 to 36. The expansive property included a vineyard. Another associate of the band introduced him to Charlie F. Wagner of Caymus Vineyards in Napa Valley. Wagner ended up spending years mentoring Cohn, teaching him all about the art of winemaking. He taught his children to work hard as well — all four, two sons and two daughters, were raised on the winery grounds and now all work for the company. The winery sells traditional Cabernet, Zinfandel and Pinot Noir along with niche selections — among them the “Classic Car” line and Doobie Red. Cohn also dreamed up the “Doobie 15-pack,” which features each of the band’s album covers on a different bottle; proceeds from its sales go to charity. Cohn explored making a kosher wine 15 years back, but after speaking with a rabbi about the process he decided it would be too time-consuming and expensive. A rabbi needs to be present through every step of the process, and the tanks must be continuously sterilized. The idea was reborn a few years ago when Cohn’s winemaker, Tom Montgomery, suggested that they grow the grapes on the vineyard and then have an established kosher winery, Baron Herzog in Oxnard, process them into wine. The two wineries struck up a deal, and two years later Cohn’s kosher wine came to fruition. The grapes used in the kosher Cabernet were grown on Trestle Glen Estate, an organically farmed sub-vineyard of Cohn’s property, then trucked down to Baron Herzog for processing. The B.R. Cohn kosher selection is sold exclusively through the winery’s tasting room and on its website, and is limited to 400 cases. Cohn says it’s been selling surprisingly well for a new product without a national distributor. B.R. Cohn Winery is very much a family affair, and over the years it has been home to some monumental occasions. In 1987 Daniel had his bar mitzvah on the grounds in front of 150 guests. Though Cohn didn’t raise his children to be particularly religious, Daniel made the decision himself to have a bar mitzvah. 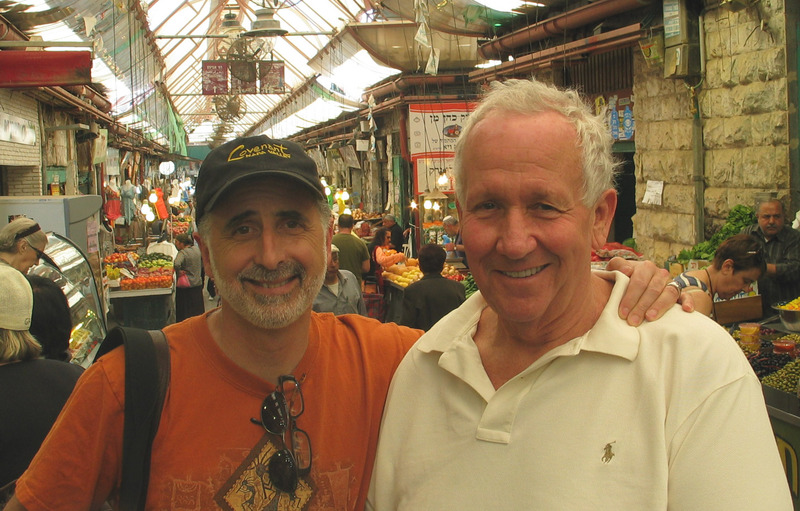 “I’ve always been more in touch with the Jewish side of our family,” Daniel said. Another notable event at the vineyard is Cohn’s annual fundraising concert, held every fall since 1986, which draws around 6,000 attendees. When he first decided to put on the concert, Cohn knew exactly where to turn for entertainment — the Doobie Brothers. The band has played the concert eight or nine times now, Cohn said. Other major rock acts have also played the fundraiser, including Journey, Cheap Trick, David Crosby and Jackson Browne. The concerts have raised more than $6 million for local and national charities. Earlier this year Cohn received the Benny Friedman community recognition award at Congregation Beth Ami in Santa Rosa. These days Cohn tours far less with the Doobies, focusing more on the business side of the band, as well as the winery. He also spends time tracking down acts to play at his fundraiser. Staying on the vineyard instead of touring also has some familial perks — Cohn gets to see more of children and, now, grandchild.